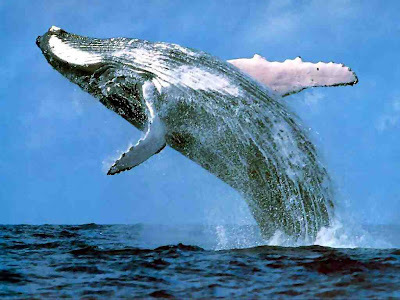 The discovery [in 1967 by Roger Payne and Scott McVay that humpback whales produced a repeated pattern of sounds that could be described as a song] was both lucky and deliberate. [Payne] had studied the auditory faculties of bats and owls, but decided to focus his work on an animal that might draw attention to what he saw, even then, as an environmental crisis. He had never seen a whale, he said, but decided that if he found “some groovy thing” about whales that it would grab the public’s interest. Having found something about whales that was far groovier than he could have imagined, Dr. Payne set out to find composers, writers and musicians who could propel the finding into popular culture. P.S. 5 Dec: Three theatrico-cetaceacal links from Ashdenizen:Rothenberg, whales onstage and narwhal story.